Where I stay when I travel is just as important as the destination. I choose my accommodation based on two factors: how I can experience a specific part of a culture or section of a city; and more importantly, how I can create an experience that as a writer and digital nomad will help me rest, be productive, and be inspired to build something new in my work. You'll be inspired by new landscapes and living spaces: How have the owners decorated their home? How does the space help you do your work? Staying in a bush cabin made me realize that I might want to live in a quiet landscape one day: the environment suits me well for how I need to create. You'll experience the unexpected: This creative duo bought a school bus, made it into a studio and living space, and road tripped across the United States for three months. On their website they said, "Being uncomfortable pushes you to try to make things work in new ways and often you can create something new and unexpected." 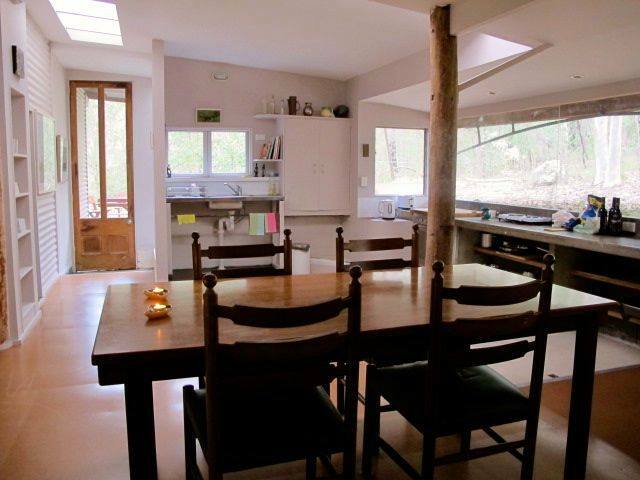 The owners started building this property in the late 1980s as their own artist retreat. The two-bedroom cabin rests at the bottom of a hill surrounded by eucalyptus trees. It's a place where you'll immediately feel at home. Its big wooden porch is the perfect place to sit in the morning with a tea. There's a wood-fired oven out back for slow all-day cooking; and the owners, who live up the road, welcome guests to walk through their garden and pick lemons, oranges, and rosemary. The kitchen of the bush cabin is stocked with pots and pans and recipe books. Stay type: It's a great space to use as an indoor or outdoor workshop. There are several different spaces to work from in the house including a desk and beanbag chairs in an upper-level cove. In 2008, the owners of La Belle Vie Bed and Breakfast left their former city lives in Manhattan and Brooklyn to start their Bed and Breakfast. La Belle Vie is a charming Victorian home with sweeping staircases, grand bedrooms, and big lounge areas filled with books. One of my favourite parts of our stay was the breakfast; it's usually a three-course affair with fresh fruit, homemade muffins, and delicious sweet breakfasts like poached pears with raspberries and whipped cream. Stay type: This place is for people who might not want complete solitude or care for outdoor activities; rather they want to be inspired by the home itself and fellow guests. The large lounge rooms are perfect to play musical instruments like a piano, or sit and read and write. I've never really enjoyed camping, but I like the outdoors. For me this often means sleeping in something other than a tent. 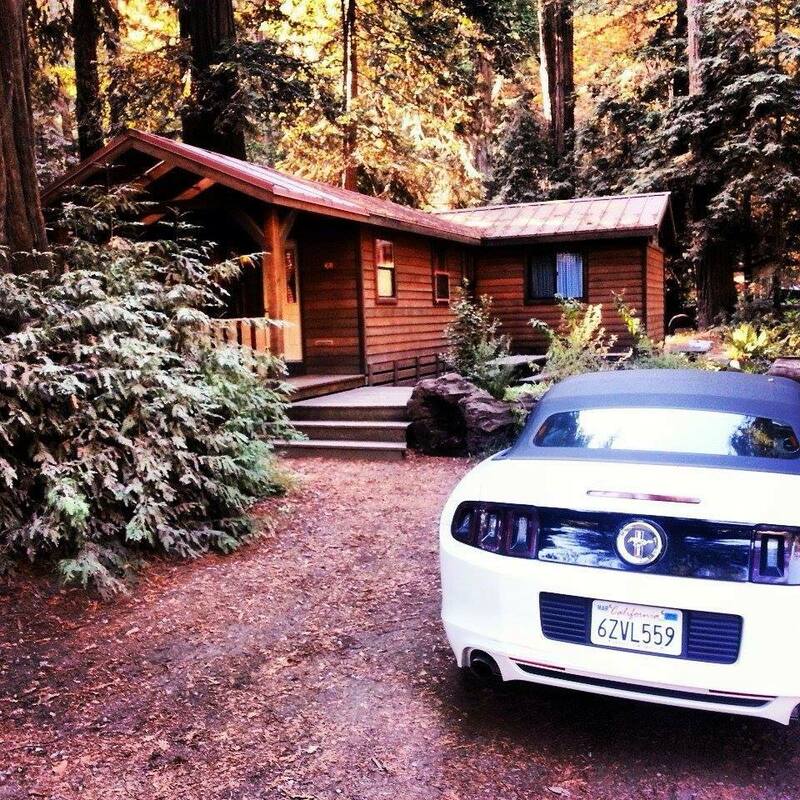 In 2014, a trip to Big Sur prompted an idea to have an authentic experience sleeping among the ancient redwood trees. 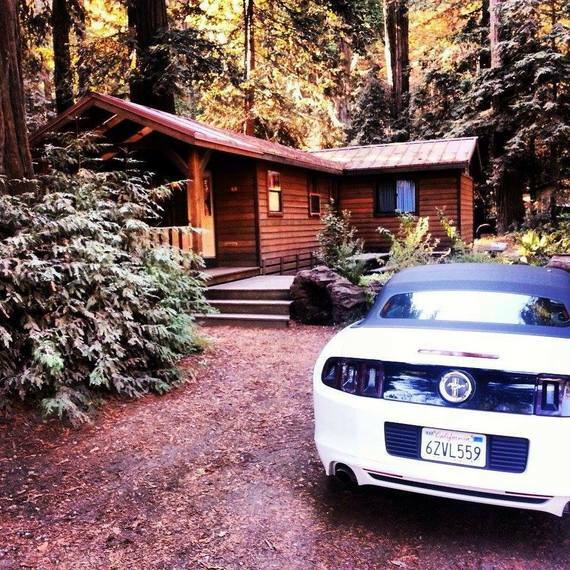 My partner and I stayed on the Big Sur Campground, but rented a cozy yet basic one-room cabin. The cabin had what we needed for our weekend: a fireplace, kitchenette, toilet, and outside fire pit. The campground is walking distance from a great bakery, restaurants, and pub. Stay type: This is a great place to be influenced by the outdoors. Get your creative tools and go to the nearby white and purple sandy beaches or take in exquisite coastal views--I drew by the water one day. This tiny house on the hill is a good example of why travel to Iceland is becoming increasingly popular. I haven't stayed here yet, but a friend recently visited, and her photos are magical. Its beautiful backyard is 500 acres of snow-capped mountains and golden remote valleys filled with mist and sunshine, where horses and foxes play. The house--newly built but designed to suit the old Icelandic cottage style--is located about 120 kilometres from Reykjavik, the capital of Iceland and the largest city in the country. Stay type: This tiny house will offer you a remote and private experience to be inspired by the outdoors. Either stay in the house and work while enjoying the wood burning fireplace, modern kitchen, and cozy attic-like bedrooms, or take to the outdoors to trek and then soak in thermal swimming pools and tubs located about 30 minutes away.